Electronic Arts has announced that the Need for Speed franchise is being completely rebooted as an open-world game built around an "authentic urban car culture." The new game, called simply Need for Speed, is being developed by Ghost Games, the studio behind the 2013 release Need for Speed: Rivals. 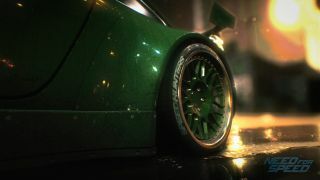 "Need for Speed is one of the most iconic names in gaming, and we're returning it to greatness in this reboot," Ghost Games Executive Producer Marcus Nilsson said. "Pulling on our 20 years of history, and then taking a year out from releasing a game, we are making the game we’ve always wanted to. We're listening to the fans and delivering an experience that will capture their imagination and unleash their passion for cars and speed." EA said in the announcement that it is collaborating on Need for Speed with Speedhunters, "an international collective of photographers, writers & drivers with a shared passion for digging up the most exciting stories surrounding Car Culture happening anywhere in the world," to ensure a high-level of detail and authenticity in the game. The announcement isn't entirely unexpected: You may recall that around this time last year, Nilsson said EA had decided to skip releasing a new NFS in 2014, "so we can work towards a highly innovative Need for Speed in 2015." Interestingly, there's nothing about it posted on the Need for Speed website, but there is some noise being made about it on the Facebook page. The new Need for Speed is currently slated to come out this fall.